• In signing Ricky Nolasco to a four-year, $49 million contract the Twins touted his durability as a major selling point, as the 31-year-old right-hander had started at least 30 games and logged at least 185 innings in five of the previous six seasons. Now, just four months into his Twins career and with an ugly 5.90 ERA in 18 starts, Nolasco has been shut down with elbow soreness that he's apparently been pitching through since spring training. If everyone involved is to be believed that news came as a surprise to the Twins, which means either Nolasco went out of his way to hide the injury from trainers and coaches or those same trainers and coaches went out of their way not to investigate his season-long struggles. Or maybe a mixture of both. Certainly if he was hiding the elbow injury that has to be very frustrating for the Twins and Nolasco is absolutely at fault. However, it's also worth noting that the Twins--from the front office to manager Ron Gardenhire and his coaching staff--have created and repeatedly fed into a culture in which acting like a tough guy and playing through pain is considered noble rather than stupid or irresponsible. Even in discussing how Nolasco hid the injury from the team Gardenhire almost couldn't help acting as if there was something positive about the so-called "old school" approach taken by the pitcher. Meanwhile, seemingly every season one or two key players try to tough their way through injuries with disastrous results and no one ever seems to learn a lesson from it. Who knows whether that played a role in Nolasco pitching through pain, but it certainly didn't play a role in convincing him to do otherwise. When can we end this outdated, shortsighted approach of letting hugely valuable athletes risk their short- and long-term health and productivity in the name of being tough guys? If you're a player and you're hurt, tell someone in charge. And if you're someone in charge and a player tells you he's hurt, don't let him continue playing. As simple as those two directives sound, they've been sadly lacking for the Twins in recent years. This time around it led to their trotting out an injured pitcher for 18 horrible starts and putting at risk a $48 million investment. If that's "old school" then everyone flunked out. As a group Twins starting pitchers rank 29th among MLB teams in ERA, ahead of only the Coors Field-inflated Rockies. Last season they ranked 30th in ERA and in 2012 they ranked 29th in ERA, also ahead of only Colorado. • Byron Buxton finally returned from a wrist injury after sitting out the first three-plus months of the season and despite all the missed time Baseball America's midseason update still ranked him as the No. 1 prospect in all of baseball. Miguel Sano also ranked No. 9 even though the Twins just announced that he'll miss the entire season following elbow surgery and pitchers Jose Berrios, Kohl Stewart, and Alex Meyer also cracked Baseball America's updated top 40. • Meyer looks to be back on track at Triple-A after some struggles last month. He struck out 10 last night and has a 2.00 ERA with 20 strikeouts in 18 innings over his last three starts. • No. 5 overall draft pick Nick Gordon has hit .359/.408/.500 with five extra-base hits and four stolen bases through his first 15 pro games for rookie-level Elizabethon. • Chris Parmelee is 26 years old and has batted .235 with a .299 on-base percentage and .370 slugging percentage in 677 plate appearances since his big September debut, so it's probably time to stop getting excited whenever he has a decent week. • His batting average isn't pretty, but Brian Dozier's current 112 adjusted OPS+ is the best by a Twins middle infielder since Todd Walker in 1998 and Chuck Knoblauch in 1994-1996. • He's a deserving All-Star, but it's odd to hear Kurt Suzuki endlessly praised for "handling" a pitching staff that ranks 28th in ERA, especially when pitch-framing stats show him as poor. • This offseason the Twins were believed to be deciding between Suzuki and John Buck as their veteran catcher addition. Buck hit .226/.293/.286 for the Mariners and just got released. • I looked this up after watching him leg out a single Monday evening: Kendrys Morales has 48 career infield hits, including at least 10 in three different years. Imagine that. • Eduardo Escobar was hitting .314/.357/.473 on June 15. Since then he's 9-for-66 (.136) with 17 strikeouts and 2 walks. Track records: Trust 'em. • Hisashi Iwakuma owns the Twins, with a 5-0 record and 0.00 ERA in five starts against them. • Vance Worley has a 2.28 ERA and 18/5 K/BB ratio in four starts for the Pirates, who think they've fixed whatever ailed him with the Twins last season. • Pat Neshek, who has a 2.39 ERA since being waived by the Twins in 2011, made his first All-Star team at age 33. • Lew Ford, now 37 years old, is hitting .372 with a .445 on-base percentage and .568 slugging percentage in the independent Atlantic League. And he's the team's hitting coach too. 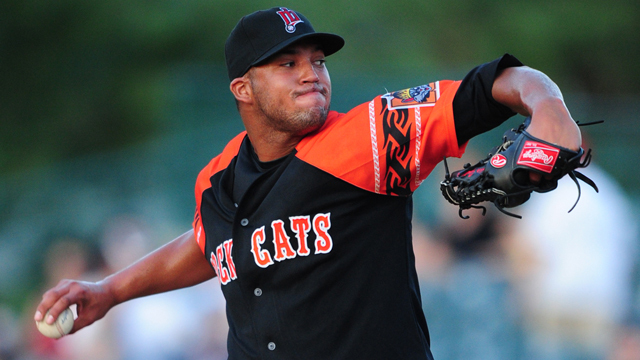 • One-time Twins minor leaguer Yangervis Solarte turned back into a pumpkin after a big April and May for the Yankees. Not shocking, as the Dodgers were also linked to Justin Morneau in July, but the notion of the Twins turning them down multiple times is certainly interesting. Morneau has been excellent since the All-Star break, hitting .320/.365/.523 in 39 games, but his overall production this season still qualifies as good but not great and his health remains an issue. Toss in the fact that he has one year and $14 million left on his contract and Morneau's trade value isn't great. Or at least it shouldn't be, which makes me wonder if they should've jumped at the Dodgers' offer assuming it included any kind of decent prospect. Simply clearing Morneau's salary off the books for 2013 has value to the Twins, especially with Chris Parmelee waiting in the wings as a minimum-salaried replacement, and the Dodgers ended up sending a surprisingly strong package of players to the Red Sox for the right to take on $275 million in mostly bad contracts. Given how the Dodgers are throwing around money it's not safe to assume their interest in Morneau and his contract guarantees similar interest from other teams, and now Los Angeles is no longer an option for a future deal. Obviously every Twins fan would love to see Morneau resume being an elite hitter, but $14 million would come in handy and letting him walk for nothing as a free agent in 15 months would be a missed opportunity. • Liam Hendriks came into Monday with an 0-8 record and 6.75 ERA in 13 career starts, threw a one-run complete game while allowing just three hits ... and lost 1-0 to Felix Hernandez. 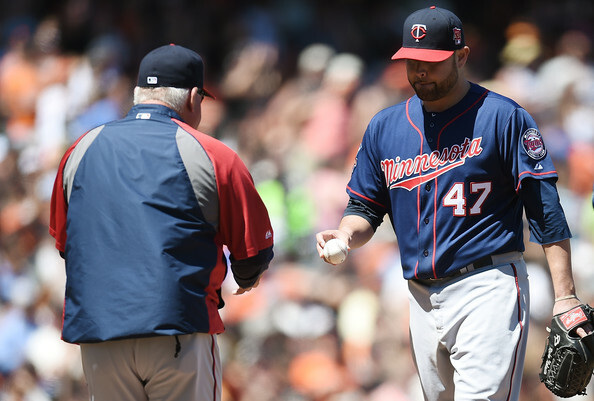 Setting aside the silliness of "wins" and "losses" for pitchers it was a very encouraging outing and it's nice to see the Twins giving Hendriks an opportunity to start every fifth day down the stretch following another good stint at Triple-A. At age 23 he maintains mid-rotation potential. It's too bad it took three months diagnose that. I could have been resting. The good news is, it doesn't require surgery. I've had this in the past and gotten through it, and obviously I've pitched a lot since then. But as far as I'm concerned, this whole season has been a failure on many levels, for myself, for the team. It's just kind of lousy that it took this long. Pavano went on to blame himself, rather than the Twins, but it's tough not to connect those dots after reading John Shipley's article in the St. Paul Pioneer Press. Sano has incredibly easy power, with a clean, rotational swing that generates most of its power from his hips and legs, a textbook example of how to make hard contact and drive the ball to all fields. His home run on Friday night went over the batter's eye in Beloit, which is 380 feet from home plate, and he drove two more balls to left without even squaring either up fully. Sano's biggest drawback is his obvious disdain for the defensive side of the game. ... So while he has the arm and hands for [third base] now, the question of whether he'll outgrow the position is secondary to the question of whether he'll work enough to make third base a possibility. Law also wrote up reports on Eddie Rosario, Kennys Vargas, and Taylor Rogers. • Monday night Lew Ford started at designated hitter and batted fifth for the Orioles, going deep off White Sox starter Francisco Liriano for his first homer since 2007. What a world. • Speaking of Liriano, since being traded to the White Sox he's started six games with a 4.26 ERA and 33-to-16 strikeout-to-walk ratio in 32 innings. Liriano has allowed two or fewer runs in five of those six starts and dating back to rejoining the Twins' rotation in May he's started 17 games with a 3.87 ERA, .211 opponents' batting average, and 112 strikeouts in 98 innings. • Joe Mauer passed Earl Battey for the most games caught in Twins history, which provides a good reason to remind everyone that Battey was a helluva player. It's probably also worth noting that Mauer was done playing in the minors at age 20, played only 73 games above Single-A, and skipped Triple-A altogether. • Joe Benson's nightmare season now includes left knee surgery, along with a demotion from Triple-A to Double-A and a broken wrist. Coming into the year he looked just about ready to claim a starting job in the majors at age 24, but instead he hit .202/.288/.336 while missing half the season with injuries and never even got to Minnesota. • Twins' record in their last 300 games: 117-183. 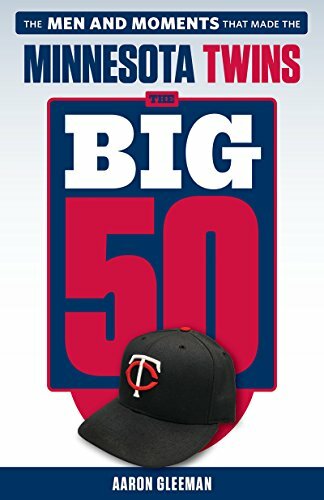 • Chris Jaffe of The Hardball Times depressingly notes that all the recent losing has dropped the Twins' all-time record since moving to Minnesota below .500. • Hundreds of players are placed on revocable waivers every August. Mauer is reportedly one of them. Probably isn't the first time. Probably won't be the last time. The end. • I'm not sure what exactly is going on here with Mauer, but I watched it about 50 times. • I went to last night's Twins-Mariners game (the weather was nice, at least), which means I was part of the smallest crowd in Target Field history. 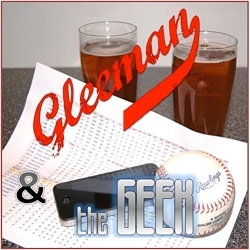 • For a lot more about Morneau and Hendriks, check out this week's Gleeman and The Geek.